“We are the children of the sun,” sings Brendan Perry, moaning like a half-drunk Vincent Price over a strangely unsettling orchestral trip-hop groove. “There is room for everyone / sunflowers in our hair.” But this sure ain’t no freaking summer of love. 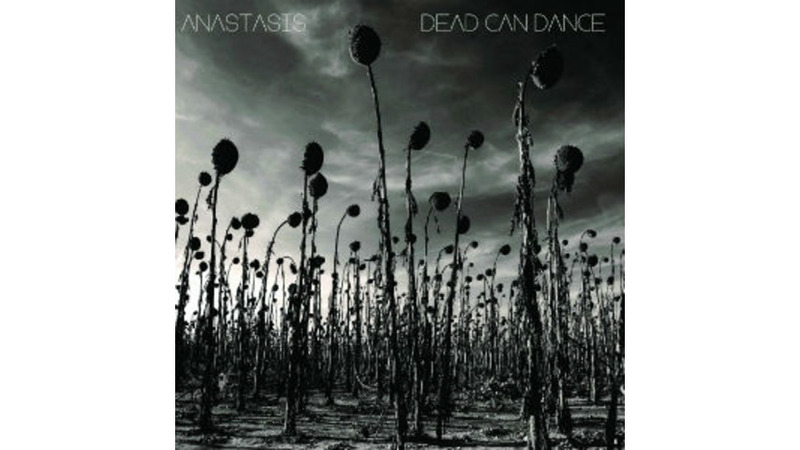 Anastasis, the first studio album in 16 years from Australian duo Dead Can Dance, harnesses the brooding, multi-culti sonic perfectionism you’d expect from these highly regarded veterans (singing multi-instrumentalists Brendan Perry and Lisa Gerrard), with loads of glowing bagpipes and Chinese hammer dulcimer and operatic chants and ominous synths. But Anastasis is also bloated and overly precious—even at its brightest (the opening “Children of the Sun”), it’s about as fun as a funeral procession. That’s probably the point, after all, for a band named Dead Can Dance. Problem is, they’re rarely able to muster any catharsis. The shapeless “Anabasis” finds Gerrard vocalizing in a Middle Eastern maze, surrounded by layers of “Kashmir” strings and cavernous percussion. It ultimately calls to mind an artsy-fartsy Enya or a pussyfooting Peter Gabriel, stewing aimlessly in its own forced exoticism without much sense of purpose. The Chinese textural gibberish of “Kiko” is equally unsatisfying—sort of like the soundtrack to a bad History Channel documentary. It’s OK to brood if there’s an eventual pay-off—when the duo marry their most indulgent gestures to actual song structures, the effect is splendid: The spine-chilling “Return of the She-King” simmers and simmers in its own textural juices (bagpipes, glowing synths, snare rolls) before the floodgates open into a heart-melting rush of strings and overlapping vocals. “Amnesia” is similarly entrancing, built on Brendan Perry’s magnetic goth croon and the unrelenting throb of strings, brass, bubbling bass, and electronics. But by album’s close, it’s too little, too late. Anastasis demands intense, patient listening, though it rarely rewards it.